← Next PostPuerto Rico, Here I Come! Previous Post →“Desolation Mountain” is on sale now! 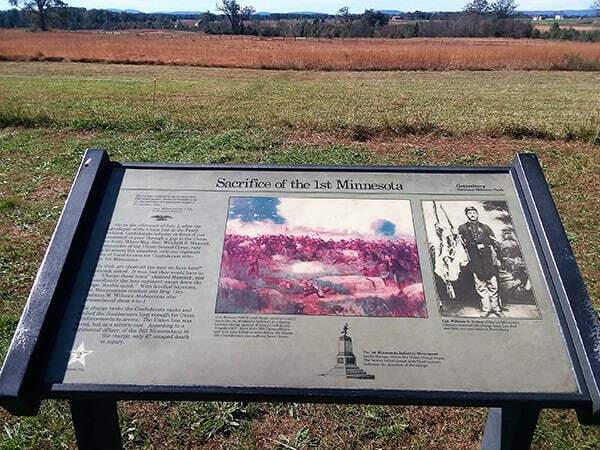 Thank you for this posting about the First Minnesota Volunteers. 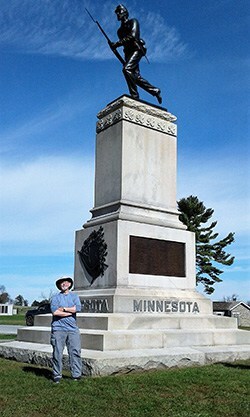 My second great uncle, Martin Maginnis, survived the battle of Gettysburg, although I don’t know how he participated. He enlisted in the 1st Minnesota Volunteers in 1861, leaving Hamline College in Red Wing, and worked his way up from private to major. His parents were Irish immigrants (though from Liverpool) who settled as farmers in Goodhue county in the 1850’s. After the war he went westward to Montana where he was the first Congressman from what was then Montana territory. One of his brothers, Charles Patrick Maginnis, became the sheriff of Stevens county then was in charge of the federal land office in Duluth. Basically alll the male members of the family moved on to Portland OR around 1905, and I was born in Oregon. I preceded your foreshortened student days at Stanford (AB 61,MD in 64). Yes, I read your biography! Things were a lot quieter in 56-64. I have read all your Cork O’Connor books up to Thunder Bay and am hoping to continue the series!